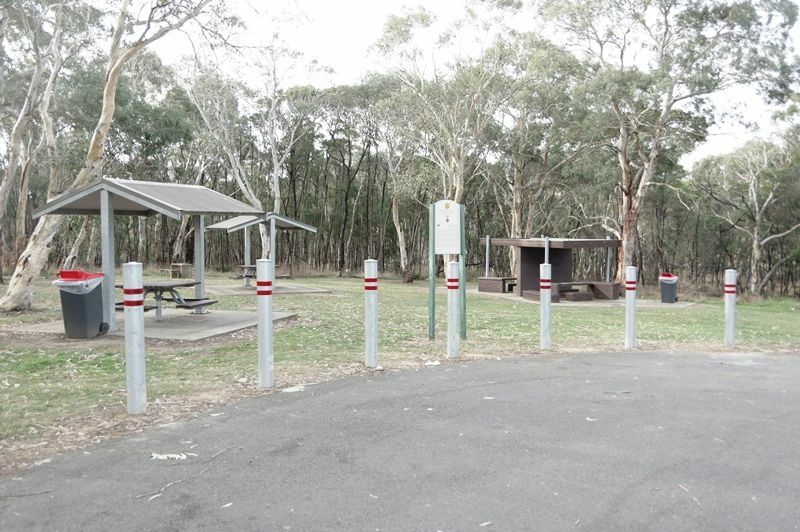 A rest area commemorates John Mackey who was awarded the Victoria Cross (V.C.) during World War Two. 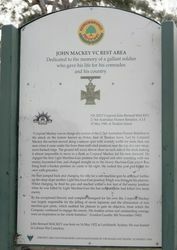 John Bernard "Jack" Mackey VC (16 May 1922 – 12 May 1945) was an Australian recipient of the Victoria Cross, the highest and most prestigious award for gallantry in the face of the enemy that can be awarded to British Commonwealth soldiers, sailors, airmen, and Marines. On 12 May 1945 at Tarakan Island, off North Borneo, Corporal Mackey led his men along a very narrow spur trail where it was almost impossible to move to a flank. His section came under fire from three well-sited Japanese Army positions, but Corporal Mackey went ahead, charging his first position, wrestling with and killing one of the enemy, and he then rushed a heavy machine-gun post, killing its crew. He again attacked a third enemy position further along the spur, and he was killed, but not before he had slain two more of the Japanese. Dedicated to the memory of a gallant soldier who gave his life for his comrades and his country. 2/3rd Australian Pioneer Battalion, A.I.F. 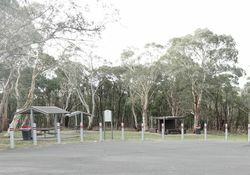 "Corporal Mackey was in charge of a section of the 2/3rd Australian Pioneer Battalion in the attack on the feature known as Helen, east of Tarakan town. Led by Corporal Mackey the section moved along a narrow spur with scarcely width for more than one man when it came under fire from three well-sited positions near the top of a very steep, razor-backed ridge. The ground fell away almost sheer on each side of the track making it almost impossible to move to a flank so Corporal Mackey led his men forward. He charged the first light machine-gun position but slipped and after wrestling with one of the enemy, bayoneted him, and charged straight on to the heavy machine-gun which was firing from a bunker position six yards to his right. He rushed this post and killed the crew with grenades. He then jumped back and changing his rifle for a sub-machine gun he attacked further up the steep slope another light machine-gun position which was firing on his platoon. Whilst charging, he fired his gun and reached within a few feet of the enemy position when he was killed by light machine-gun fire but not before he had killed two more enemy. By his exceptional bravery and complete disregard for his own life, Corporal Mackey was largley responsible for the killing of seven Japanese and the elimination of two machine-gun posts, which enable his platoon to gain its objective from which the Company continued to engage the enemy. His fearless action and outstanding courage were an inspiration to the whole battalion. " (London Gazette : 8th November 1945). 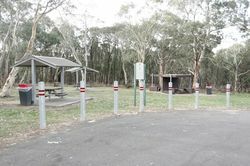 John Bernard Mackey was born on 16 May 1922 at Leichhardt, Sydney. He was buried in Labuan War Cemetery.